The algorithm updates by Google always keep the SEO experts and webmasters at the edge of their seats worrying about “what next”! Webmasters have been dumbfounded as Google tweaked the algorithm 15 times in a single year, 2013 and in 2012 it was changed for about 37 times. 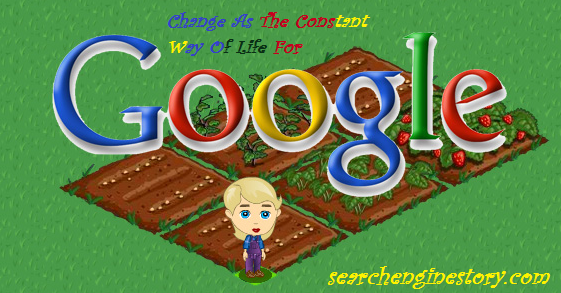 Now doesn’t the title seem to be right as it says that change is the only constant way of life for Google? Fretting over the algorithm updates might make sense for the SEO experts but do the content creators require keeping up with such changes? Read on the concerns of this article to know more on the major changes that Google has made and how each change applies to the content creation department. 1. A non-existent update to Page Rank: If you’re into SEO or you’re a webmaster, PageRank is the ranking of how many links your website has linking back to it. Links are nothing but votes that help in raising the credibility and showcasing your website as a high-quality website. But where lays the problem then? Well, the problem lies in the fact that Google hasn’t updated the PageRank meter since a year, rather since the beginning of 2013 and there is no idea whether it will ever be fixed. So, if you’re someone who is still focussed on getting links from websites that have a high PR, you should stop immediately. Although this might be valuable for you, Google might not want you to emphasize on page ranking anymore. Instead Google recommends you to be focussed on driving traffic, having a Google Authorship and converting more and more visitors. 2. A step forward to secure organic searches: This implies that you can’t raid Google Analytics for keyword research, thereby leaving the website owners in the dark. Do you remember when there was a section named “Not Provided?” This percentage of search data has been looming large since 2010 and it was on 23rd September, 2013 that Google shut off all kinds of information. This was done in order to blow off all those who had keyword bombing and density rates as their main focus. 3. Google Authorship for boosting rank: This isn’t yet confirmed how Google Authorship will affect searches. The expert analysts are of the opinion that Google will use your author profile to analyze your credibility, authority and expertise on a particular subject and thereby determine the quality of your website, as a whole. Google could also use your social profile to check the number of shares an article has and the authority of the website into which your article is being published. 4. The Hummingbird update: September 2013, the Hummingbird update was released and after this Google wants to comprehend concepts, relationships and conversations. Although Hummingbird is still improving and might not always work, yet Google is putting in its best efforts into making Google search more and more conversational and less keyword-focussed. Therefore, when it comes to getting the highest PageRank for your website, stay aware and updated about the changes that are being brought about by the search engine giant Google.